“Dis-Act” will enhance the inclusive potential of Theatre as an instrument of opening opportunities and dispelling prejudice against people with disability through the production of quality educational offer for operators and disabled adults themselves in Devised Theater. Dis-Act is addressed to an audience of direct targets (disabled adults aged 35-55 coming from disadvantaged urban and rural communities and Educators/Trainers providing or interested in providing support to their social inclusion) and indirect targets (Adult education institutions, NGOs, cultural businesses and associations, Arts centers/groups, Organizations of disabled people, Organizations/public agencies providing services for disabled people). The European Disability Strategy (2010) sets the overall objective of empowering people with disability with a view to enabling their full participation in society on a footing of parity with the non disabled, also by positive action aimed at eliminating all kinds of discrimination against disabled people. Among the stumbling blocks mentioned by the strategy are persisting discrimination, low access to education and employment in the labor market and income inequalities/poverty affecting the disabled disproportional than the rest of the population due to root causes of lower participation in education and employment. At the European level, only 48,7% of persons with disabilities are employed compared with 72,5% of the non disabled. For the 20-64 component of the disabled population, the EU unemployment rate is 19,6% against a total unemployment of 12,7% for the average adult targets. At the European level, 41.2% of persons aged 30-34 have completed a tertiary or equivalent education against a 29,7% pertance among the corresponding age-band of the disabled population. The Report “The European Comparative Data on Europe 2020 & People with Disabilities” (2017) released by the Center for Social and Economic Policy, notices that disability increases the risk of poverty and social exclusion in all EU Member States. In addition to the skills/qualification-related barriers hampering socio-educational inclusion of the disabled, visible and hidden forms of social stigma surrounding disability, and particularly its cognitive dimension, add up to the wider challenge through reinforcing sentiments of exclusion, apathy, discouragement and refrain from engagement- be it educational, social, recreational or occupational- acting as drivers of self-feeding circles of exclusion for the disabled. Dis-Act deploys an intervention on the skills-related and emotional dimension of disabled people’s plight through exploiting the educational, integration and creative dimension of Devised Theater. Devised Theater is conceived as an original approach to the theatrical production entailing a peer process of cooperation between a group of co-creators in the achievement of a final artistic product. The a-hierarchical nature of the co-creation process is designed to give each individual voice a determining role over the final outcome of the process, thereby ensuring the full ownership of the creative process by each individual co-creator. Through the production of a quality educational offer fostering the capacities of adult operators and institutions in employing Devised Theater as an instrument of empowerment of disabled adults in the context of co-creation programmes engaging them in peer-interaction with adults not affected by disability, Dis-Act will therefore set the grounds for the development of soft/transversal skills and competences of creative expression in the disabled, while at the same time breaking stereotypes and the internalized as well as external emotional barriers hampering the full inclusion of disabled adults in society. 1- Identification of needs and barriers faced by disabled adults in Devised Theater and mapping of existing good practices through a transnational research. 2- Format targeted at adult education operators and institutions for the development of their capacities in employing Devised Theater as the cornerstone of a customized educational offer for the empowerment of disabled adults through co-creation and peer-interaction with the non disabled in Devised Theater. 3- Manual providing guidance and methodological support to operators in the implementation of co-creation programmes in Devised Theater targeted at disabled adults. 4- Web Platform integrating multilingual E-Modules for the professional development of operators in the field. The local offer of volunteer actions and activities is unattractive to young people, there is an acute shortage of alternative leisure activities that are correlated with opportunities to discover and practice their skills and interests. Effects: Passive attitudes of non-involvement, lack of interest in volunteering – there is no pro-active attitude towards this issue; low learning opportunities for young people in a non-formal context. The experience of our organizations has shown us that especially among high school students there is a low involvement in volunteer activities, and those who participate do it only because they are constrained by schools, pupils’ councils or teachers, and not by their own wish. This category of passive young people are at risk of failure on the labour market, unemployment, social exclusion and migration. 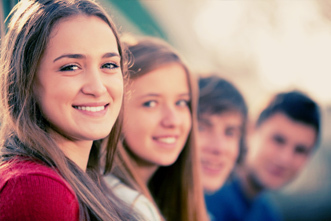 Effects – young people do not know the benefits they have, they are not supported and encouraged to get involved. Lack of volunteer management training courses in the partner countries to ensure right recruitment in the organisations and proper volunteers training and motivation. Effects: low involvement of young people in volunteer activities, incapacity of organizations to retain and build social responsibilities among youngsters. Promoting quality youth work – staff involved in youth sector from the partner’s organizations will participate in volunteer management training course to be able to recruit, train and motivate volunteers thus, providing a robust structure for them to work within. Promoting empowerment – activities addressed to youngsters will develop and promote their active participation and will foster volunteering among them, through the activities carried out the young people will be empowered – will gain confidence in their own forces, will become aware of their role in local/national/international development, develop their willingness to act and take responsibility, young people develop their civic skills and active participation. 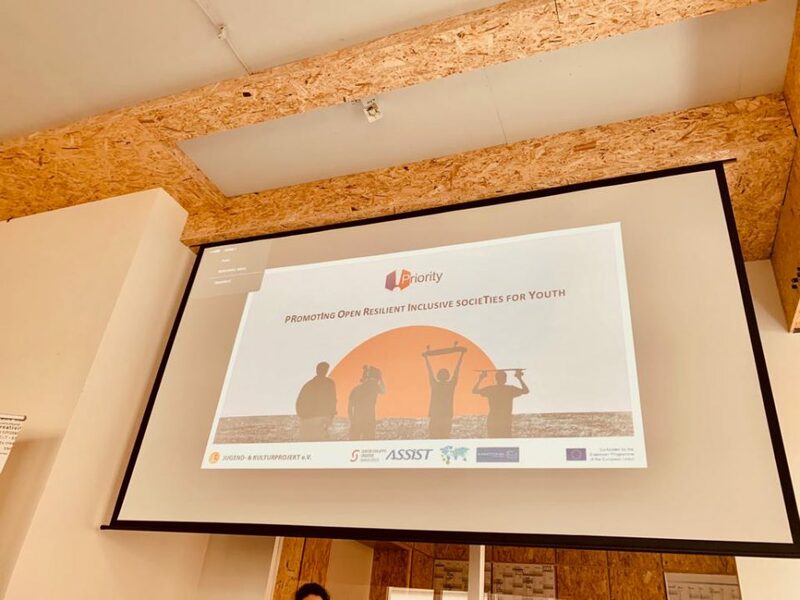 The project strengthens cross-sectorial cooperation, allowing for greater synergies across all fields of actions concerning young people as it involves organizations and institutions from different sectors. 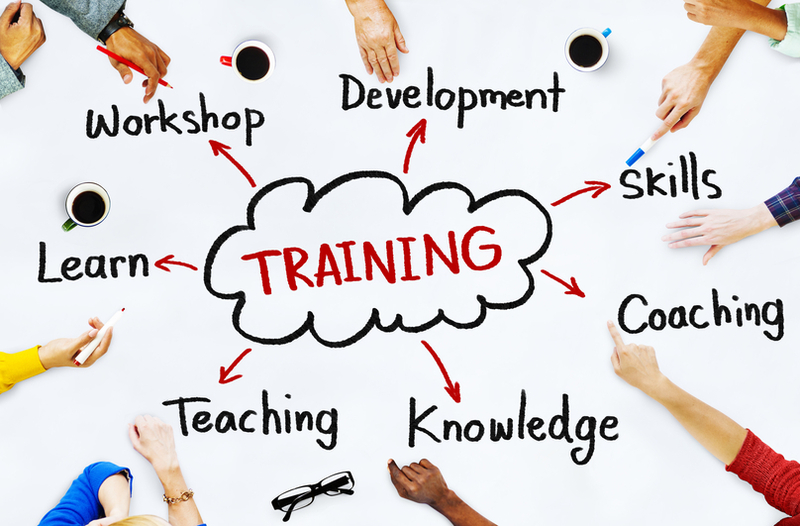 – Training activities for staff involved in youth sector from the partner’s organizations in volunteer management training course to develop knowledge and skills to recruit, train and motivate volunteers thus, providing a robust structure for them to work within. – Best practices in youth volunteering website addressed to both youngsters and also stakeholder wishing to develop volunteering programs or improving existing ones. The project is a Capacity Building in the Youth field coordinated by Bulgarian Sports Development Association (Bulgaria), with a partnership composed of NGOs from Italy (Mine Vaganti NGO), Paraguay (Asociacion Puente Sur) and Peru (Brigada de Voluntarios Bolivarians de Peru). The WHO has placed health and physical activities among the crucial determinants of global health, underlining the role of insufficient levels of movement as one of the main factors enhancing death risk worldwide (see WHO Website). Physical activity has been proven to reduce the risk of non-communicable diseases as cancer and diabetes, enjoying therefore a crucial importance not only for the wellbeing of the individuals but also from the perspective of societal health. According to WHO data, more than 80% of the World’s population in insufficiently physically active. The same data let emerge a connection between unhealthy food consumption habits and harmful effects on the individual and, by extension, on the social wellbeing. As highlighted by the WHO, increased production of processed food, rapid urbanization and changing lifestyles have led to a shift in dietary patterns. People are now consuming more foods high in energy, fats, free sugars or salt/sodium, and many do not eat enough fruit, vegetables and dietary fibre such as whole grains. The combined effect of insufficient physical activities and improper food consumption patterns has been qualified as a challenge to global health by the WHO. 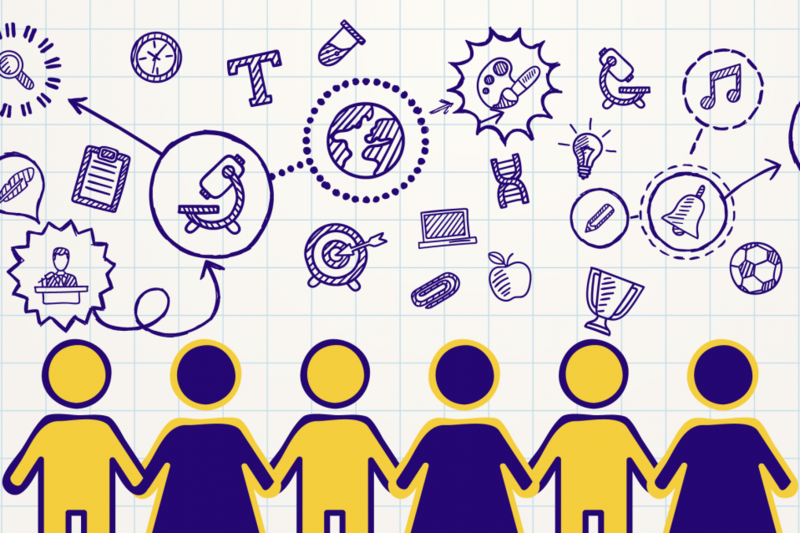 Eurostat data (2014) outline an alarming picture regarding the diffusion of obesity (a critical risk for health and significantly connected with incorrect habits of physical activity and nutrition) among the European youth, with 22,8% of youngsters aged 18-24 overweight in EU 28. The FAO pointed out, in its 2016 Report “The Panorama of Food and Nutrition Security in Latin America and the Caribbean”, the correlation between the general decrease in malnutrition and hunger and the increase in overweight and obesity among the population of Latin America. The available data show that around 5 percent of the inhabitants of the region is either obese or overweight. At the same time, the Report highlights the disproportionate impact obesity/overweight is determining on women as compared with men. Female obesity is 10% higher than male obesity in 20 among Latin America and Caribbean countries. “HEalth Practices for Own Self-Improvement” (HEPOSI) envisages a cooperation among NGOs from Europe and the Latin American region targeted at addressing the compelling challenge of promoting healthy physical activity and food consumption practices among young people through Non Formal Education (NFE) methods. – Training Course on education in healthy lifestyles, involving youth operators from partner countries and implemented based on a Format TC jointly developed by the Consortium partners. 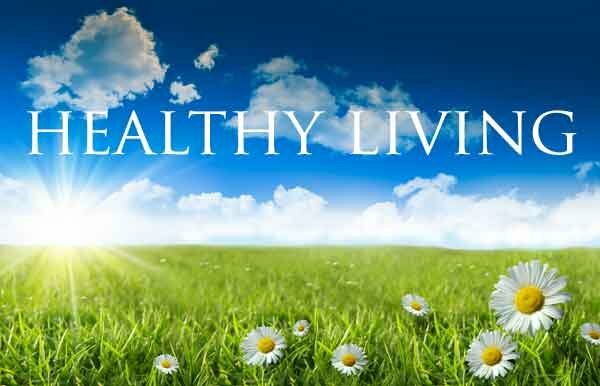 – Local awareness-raising campaign on the topic of healthy lifestyle at the national level in all partner countries. – Youth exchange on healthy lifestyle for the youth, involving young people aged 28-25 from each partner country. – Manual “Healthy Sensitive Youth”, outlining the methods employed throughout project learning activities (TC and YE) as well as detailing a comprehensive outline of the project and of its achievements. – Web Platform in multiple languages. The Web Platform will store the contents developed in the project, the details of activities (including the Social Campaign) and digital versions of the Outputs. In addition, the Web Platform will serve as an informational hub for local follow-up by the partners as well as further joint initiatives on project topic at the international level among project partners. 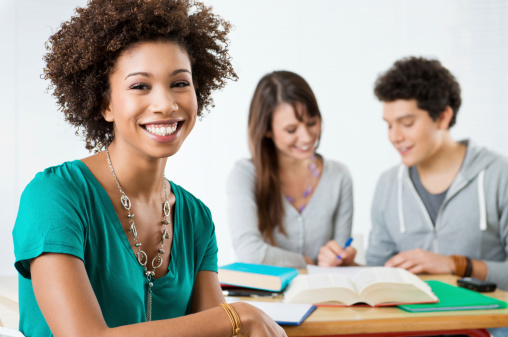 The high number of young people around the World who are facing challenges of employability and exclusion from the circuit of education and training is a foremost concern of public policies and third sector priorities across the globe. According to ILO data, around 25% of young people across the World are excluded from education and training. 1- Educational deprivation and socioeconomic exclusion deprive young people, who are key stakeholders in the social and environmental future of their own communities, of the necessary clout for bringing forward positive change from the local up to the global levels, turning them into passive recipients, rather than owners, of external solutions. 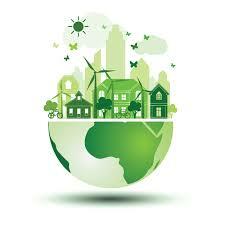 2- Analysis of global state-of-the-art concerning environmental sustainability shows that a significant economic impact, business creation and added value at the community level can be extracted out of the market exploitation of environmentally friendly ideas/solutions. No sustainable change in human impact on the environment can be attained without the grassroots diffusion of smarter practices of food consumption. The European Science and Technology Observatory highlighted, in its 2015 Report “Environmental Impact of Products” (2015), the significant impact of ordinary food consumption on the environment determined by factors as gas emissions, use of land and water resources, pollution depletion of phosphorous, use of environment-damaging products as herbicides and pesticides. Further elaborating on this analysis, the EU expert group- Standing Committee on Agricultural Research (SCAR)- underlined in its latest Report how “Globally, and in many regions including Europe, food production is exceeding environmental limits or close to doing so”. This transnational project aims enhances cooperation among Europe and other regions of the World, with a particular reference to Asia, in the entrepreneurial exploitation of the opportunities displayed by food sustainability as well as in the concrete pursuit of environmental priorities. The aforementioned main aim will be pursued through exchange of good practices and transnational cooperation functional to the production of a Training Format supporting youth operators in the regions involved in the transfer of entrepreneurial competences sustainable food business to young people. – A Format TC Handbook, detailing the methodologies forming part of the Format TC for youth operators, as well as providing an outline of the piloting experience. 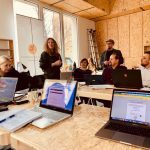 – A Web Platform integrating a Webinar in multiple languages targeted at the audience of potential youth entrepreneurs in the field of sustainable food. “Learning through Sports” (LTS) is an 18-months trans-continental Capacity Building in the Field of Youth project that aims to develop, test and spread innovative sports tools, that build-up soft skills in youth. The project is coordinated by Champions Factory LTD and is involving sport youth organisations from Peru (Brigada Voluntarios Bolivarianos de Peru), Colombia (Fundacion Grupo Internacional de Paz y Desarrollo), Brazil (Fundacao Gol de Letra), Bulgaria (Champions Factroy Sports Club), United Kingdom (Champions Factory LTD) and Romania (Asociatia Liber la Educatie, Cutura si Sport). “LTS” is focused on the topic Juvenile delinquency (the participation in illegal behaviour by juvenile delinquents) and on how youth organisations are the key to tackle and prevent this phenomenon and provide better living standards to all young people. The partners also believe in the power of sports to do so, because the sport is a universal language, a cost-effective and flexible tool in promoting peace, personal and social development. – to raise awareness of the use sports as a powerful tool to reach out youth. These objectives will be reached by implementing the following interrelated and interconnected activities during the project: Kick-Off Meeting, Job Shadowing, Training of Trainers, Youth Exchange, Closing Meeting and Awareness Raising Campaign. From these activities innovative tangible outcomes will be generated such as: video interview with famous sportsmen and an YouTube Channel where online video tutorials of learning through sports tools will be uploaded so that participants can acquire distance study methods. 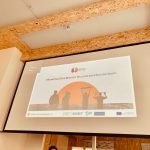 These outcomes, together with Facebook project page and website, will be useful for dissemination activities and for enhancing the sustainability of the project, reach and impact the target groups and legitimise the work the partner organisations. – relevant stakeholders (local municipalities, NGOs, private and public bodies, educational istitutions) who will be aware of the youth criminality phenomenon in their local society and they will actively participate to prevent it by giving their active contribution. 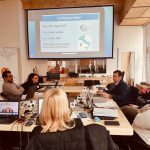 “Youth, Business, Better” (YBB) is a project involving a total of 8 NGOs of which 3 based in the Western Balkans (Serbia, Bosnia Herzegovina and Albania) and 5 in Europe (Italy, Bulgaria, Greece, Slovakia, FYROM). MVNGO is a partner organization in the project in representation of Italy. YBB will develop an integrated approach for youth organizations in partner countries to tackle the issues of unemployment, social and economic marginalization of rural youth. In Europe and West Balkans, high youth unemployment rates, sustained youth population drain to urban centres, overall economic marginalization are compounded by impaired access to education, socialization and participation opportunities in a complex relationship of co-determination. A comprehensive and sustainable approach to youth employability in rural areas should focus on strengthening the role of youth organization as key bridgeheads capable of connecting youth empowerment, active citizenship and local development through an NFE based educational approach targeted at providing young people with skills to be active drivers of positive change. Developing entrepreneurial skills and competences in young people represents a major avenue towards the enhancement of self-employability, active participation and social inclusion of youngsters as well as a key determinant in eliciting a youth driven-bottom up process of development capable of making the most of the wide array of assets (natural, cultural, traditional) characterizing rural areas across Europe and Western Balkan countries. YBB provides a comprehensive approach to tackle the issue of youth unemployment in rural areas by means of sharing and developing knowledge, best practices and NFE tools fostering the understanding and technical competences of locally-engaged youth operators in supporting empowerment and employability of young people in rural areas through conveying skills and competences of entrepreneurship. The Consortium is composed of experienced youth organizations with a long-standing involvement in support of disadvantaged youth categories in rural areas by means of NFE. In the frame of YBB, partners will share, assess and develop knowledge, best practices and NFE tools to be tested and further developed in a TC involving youth/social workers from each organization. The methodologies developed in project TC will be tested in a piloting phase conducted in all partner countries with the participation of local youth operators. Partners will test the educational outcomes achieved in the first phase of the project through a specific YE involving youngsters from rural areas. 2 Job Shadowings will be implemented to exchange knowledge, best practices and NFE competences among partners in entrepreneurial education of young people. Youth is being described in many different ways. One of the description is understanding youth as transition period between the dependency of childhood and the responsibility of adulthood. This social phase might be longer or shorter depends on the context. UN uses the ages 15 to 24, Erasmus + set the ages between 13 to 30. More than age border is essential to understand that youth more of a social age than a development period, age that makes young people vulnerable to harmful things like participation in violence, conflict, to transmitted infections and disease but also it is age when people can be in crises of unemployment or face early parenthood. There are many interconnected influences that affect youth vulnerabilities including inequality, social exclusion, impoverishment, economic insecurity, political conflict or technological change. If youth organizations wish to effectively address the situation of vulnerable youth they need to have good understanding of the group itself, but also be aware of the influences and the challenges connected with transition to adulthood. The goal of this project is to raise capacities of youth organizations to effectively address the needs of vulnerable youth and enable them to face various risks factors on the way to adulthood. -To raise knowledge of the partners and participants on Erasmus + Programme as an instrument of engaging and empowering vulnerable youth. The project will consist from two training courses for youth workers, youth leaders working with vulnerable youth or motivated to work with this target group. The first training course will provide the participants an opportunity to gain better understanding of the challenges that vulnerable youth is facing, the risks that they might experiencing. Also, the participants will focus on exploring existing practices and tools. The second training course will tackle the issues of engagements and empowerment of vulnerable youth by providing quality youth services and overcoming the obstacles that they might have face. Special attention will be paid to Erasmus + Programme as an instrument of engagement. “Growing in Insight-ability of Mobility” (GIM) is a capacity building project involving 4 partners from Romania (Babilon Travel), Italy (Mine Vaganti NGO), Argentina (Circulo Raices Sardas) and Peru 8Brigada Voluntarios Bolivarianos de Peru). The specific aim of GIM is to build competences of youth workers in order to empower inclusion, active participation and entrepreneurial skills of fewer opportunities youth, as well as youth who have minor disabilities, from South America and Europe, excluded on behalf of their impairment, social status, financial status or education. Our objectives are (1) fostering empowerment – active participation and sense of entrepreneurship of fewer opportunities youth and (2) promoting social inclusion of this target group aged 18 to 25 years old in their countries through developing comprehensive NFE educational methods and techniques by deploying a complementary set of knowledge, experience and specialised competences embedded in the different partner organisations and regional approaches. In the same time we are bridging involvement of successful entrepreneurs and youth/social workers and the target youth for inspiring entrepreneurial dialogue and action taking amongst NGOs and their beneficiaries. The applicant and Peruvian NGO will involve youth who have minor visual impairment. Youth unemployment: considering the statistics of Eurostat the rates of unemployment among youth in RO are 20,6% and in IT 37,8%. At the other end of the World Peru rates at 16,3% and Argentina 22,1% according to World Bank. Youth at risk of poverty and social exclusion: the situation of poverty among youth is critical around the World, and taking into account OECD report 2016 Argentina rates at 17% and Peru 20%, but the numbers can be higher due to relative statistical data from the authorities. In the European countries Eurostat measured in 2014 the risk at 44% in RO and 35,2% in IT. Youth with any disability: according to WHO, over a billion people (15% of the World’s population) are estimated to live with some form of disability. According to Eurostat 2014 young people reporting a disability (aged 15-34) not in employment and not in any education rates, with longstanding health problem and basic activity disability RO 75%/ IT 48%, and limitation on the basic activity RO 62%/ IT 40%. According to the World Bank Report on Disabilities in the Latin American Continent in 2010, the percentage of people with disabilities is at 10% of the population across the continent. CUSPYDAL is a cooperation between Europe (Slovakia, Italy, Bulgaria) and Latin America (Dominican Republic, Uruguay, Costa Rica) fostering empowerment and social inclusion of disadvantaged categories of young people in the two regions. MVNGO is a partner organization in the Consortium in representazion of Italy. Ultimate target: disadvantaged youths (NEETs, youngsters from poor rural areas) in Europe and Central America. Direct target: youth operators from the two regions employed in partner organizations, disadvantaged youngsters from partner countries. Exclusion of young people from education is substantial in the Latin American region, according to World Bank, which in a specific Report (2016) stressed the challenge of educational exclusion in Central America, identifying its connection with far-reaching challenges as low quality of education, economic inequality, low quality of educational opportunities and challenges pertaining to specific sub-groups in society. The Report also confirmed the correlation between educational dropouts and high youth unemployment. Eurostat quantify in over 122 million people (24% of EU 28 population) the number of people at risk of poverty and social exclusion in 2014. High rates of youth unemployment are also a critical challenge, with 18,7% of young people 15-24 excluded from the labour market. Exclusion from education amounted to 10,7% of the EU 18-24 population in 2016. – Research on NGO best practices in Europe and LatinAmerica related to the development of leadership for active engagement and social inclusion of disadvantaged youths, processed into a Format TC. – Format TC fostering youth operators’ competences in the upskilling and development of the leadership potential of disadvantaged youngsters. – YE involving disadvantaged youths to transmit soft and transversal skills for personal fulfilment (flexibility, cooperation, sense of initiative and entrepreneurship, goal-oriented thinking) and foster leadership potential for an increased involvement in their own communities. Participants will produce an activity plan for a socially-oriented initiative focused on tackling issue rooted in their own communities. -Stakeholder Conferences in partner countries introducing national SE stakeholders to project results as well as to the activity plans developed by YE participants. The best ideas will be supported through counselling, promotion and activation of crowd-funding mechanisms. Conferences will be replicated as a regular framework of coordination between stakeholders and potential youth leaders. – Web Platform storing e-learning modules for youth and youth operators.